In an age where customers can pre-order online and trigger the preparation of their meal by simply driving into the restaurant parking lot, it would be churlish not to extend this virtual customer experience into the dining establishment itself. While fine food, elegant tableware, and attentive staff remain firmly fixed in the real world, a recent study by Deloitte Digital shows there are plenty of ways for a restaurant to leverage technology to get closer to its customers and turn them into loyal patrons. In particular, diners’ mobile devices and in-house Wi-Fi together make a platform on which many new digital dining experiences are now being built. Using Wi-Fi, restaurants from fast food chains to gourmet dining palaces can offer three levels of virtual service likely to appeal to their customers. Communication. Now Wi-Fi connectivity has become a necessity for the more modest coffee shop, not to mention many fast food chains, restaurants in general are also offering Wi-Fi to customers. However, restaurant personnel may also be using Wi-Fi connections to access the restaurant’s own applications (reservations, customer order management, accounting, HR, and so on.) Guest Wi-Fi with double SSIDs does the trick. It divides a restaurant’s Wi-Fi in two: one secure, private part for employees, and one public, customer-facing part. Each group of users gets its own self-contained Wi-Fi network, without the risk of customers wandering into the restaurant’s private IT. Information. Customers will use the secure guest Wi-Fi connectivity to access all sorts of information. They may go to restaurant-related sites to compare, or to social media sites to post a comment or a photo of where they are, or what they are eating. They can also consume information provided by the restaurant. Menus, new dishes, and special deals are obvious candidates, but others could include calorie counters, or food and drink pairings. Forward-looking restaurants will offer an app for customers to track the progress of their meals, as status moves from waiting to cooking to delivery to the table. Added value services like this jive with the new generation of restaurant customers that rate a location more highly if wait time is reduced and if the location lets them use technology to place their orders. The study by Deloitte Digital suggests such customers will then come back 6% more often and spend 20% more at each visit. Action. Restaurants can offer customers more control over their dining experience. Web pages or apps downloaded over the restaurant’s guest Wi-Fi network can allow customers to build the dishes they want from the ingredients they favor or to add extra items before an order leaves the kitchen. At the same time, restaurants should take care to make their business strategy drive their technology choices, and not the other way around. 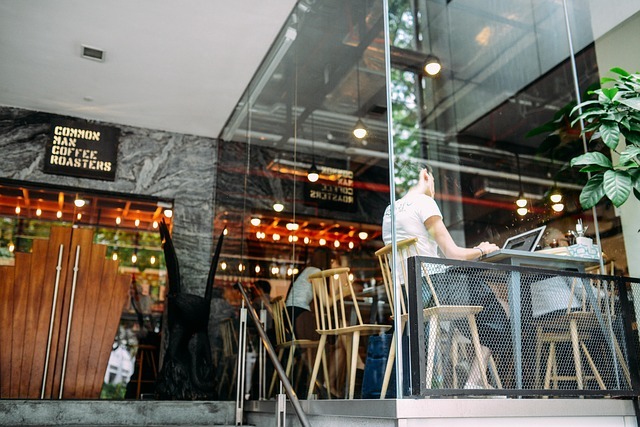 While guest Wi-Fi is a valuable tool in its own right, its advantage for a restaurant can increase even more when it is integrated into a total business strategy that addresses in-house and external marketing, branding, and customer service for the greatest effect. The possibilities are endless. As long as a restaurant can communicate with customers via their smartphones or tablet PCs, it can inform, learn about, and delight those customers. Wi-Fi gives a restaurant a channel for gathering data for analytics and better business, and for engaging with its clientele in a personalized way. In-house, guest Wi-Fi will not replace menu, value or location, but can be the spring board for driving more frequent dining, higher dining spends, and customer loyalty – everything a restaurant needs to thrive in the new digital era.